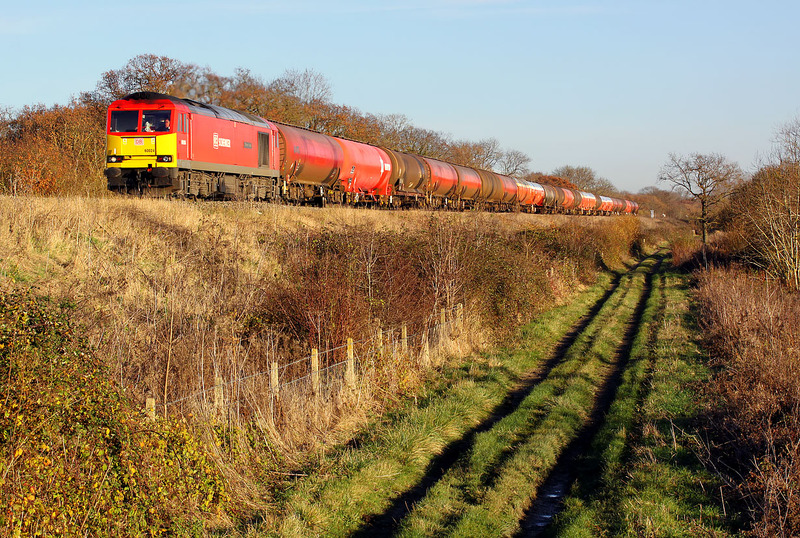 60024 Clitheroe Castle approaches Wantage Road on 6 December 2014 with the 6B33 11:27 Theale to Margam Murco oil empties. Despite the long walk, I particularly wanted to photograph this train at this location, as the farm track running parallel with the line makes an excellent foreground. Also, it is one of the few locations in the Vale of White Horse that is not affected by the lengthening shadows of a winter afternoon.